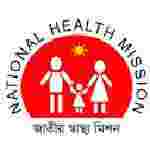 WB Health recruitment 2017 notification has been released on official website www.wbhealth.gov.in for the recruitment of total 97 (ninety seven) jobs out of which 38 (thirty eight) vacancies for Medical Officer, 12 (twelve) for Senior Technician Supervisor & Various Vacancies. Job seekers should apply from 11th December 2017 and before 20th December 2017. Educational Qualification: MBBS from MCI recognized Institute with 1 year Internship for S.no-1. Bachelor Degree al least 50% marks for S.no – 2. Fee charges: Applicants who wanted to participate for WB Health should pay the below charges through Net Banking/Credit Card/Debit Card system. Interested and eligible aspirants should apply online through the website www.wbhealth.gov.in from 11.12.2017 to 20.12.2017.